Posted on April 11, 2019 by Atlas Chiropractic, P.C. Drinking alcoholic beverages is a known factor in increasing your risk of developing cancers of the mouth, throat, breast, liver and colon. The more you drink, the higher the risk: Heavy drinkers (more than four drinks per day) have five times the risk of developing oral and throat cancers, and 50% increased risk for breast and colorectal cancers. Even one alcoholic beverage per day increases your risk of oral and throat cancers by 20% and elevates risk for breast cancer. And smoking along with drinking heightens risk even more. Your liver is an amazing organ, carrying out over 500 essential functions. One is detoxification, processing waste from bodily functions and the things we consume, including alcohol, medications and other toxins. Overconsumption of alcohol is a significant contributor to liver disease. 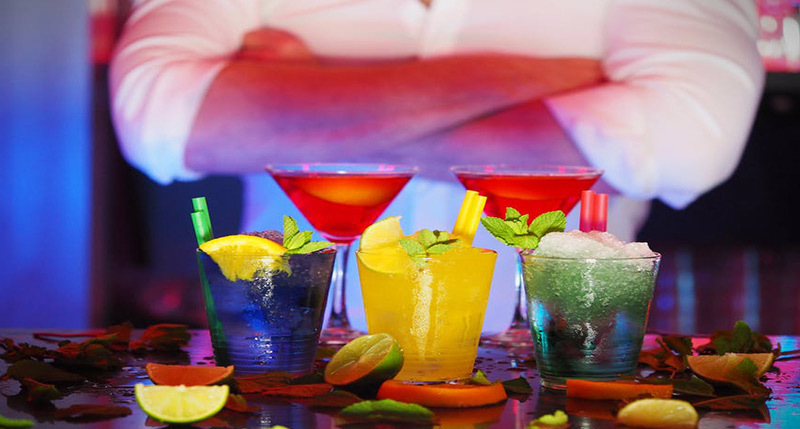 Alcohol is toxic to liver cells and can cause the liver to develop excess fat cells. “Fatty liver disease” decreases liver function. If alcohol abuse continues, scar tissue, or liver fibrosis, can occur. As this advances, cirrhosis―severe scarring of the liver―can lead to liver failure and death. Cirrhosis is often irreversible, requiring a liver transplant. Quitting alcohol altogether is the only way to prevent alcohol-related fatty liver disease from progressing. Drinking causes stress on your heart. When you drink heavily, blood platelets are more likely to clump together, forming blood clots, which can lead to stroke or heart attack. Because blood alcohol levels peak two to three hours after consuming your last drink, these problems might occur while you’re asleep, raising your risk of a cardiac event or stroke in the middle of the night. There is evidence that light to moderate drinking can lower blood pressure and decrease the rate of blood coagulation, which would prevent clot formation. But overall, when it comes to alcohol and your health, less is better. In the short term, alcohol depresses the central nervous system, slowing communications between brain cells and impacting the limbic system with lowered inhibitions. So you may find yourself doing things you otherwise wouldn’t―which may explain the popularity of karaoke but could also mean dangerous behaviors such as driving while intoxicated or engaging in risky sexual behaviors. According to WebMD, nearly 33% of people suffering from major depression also have an alcohol problem. There’s a chicken-or-egg debate on which came first when it comes to alcohol consumption and depression, but there’s no debate on the fact that alcohol abuse can intensify depression symptoms, lower the effectiveness of depression medications and even contribute to suicidal thoughts. Consuming alcohol impacts your brain and central nervous system, resulting in slurred speech, blurred vision, balance problems, impaired memory and slower reaction times. Lowered inhibitions may lead to make risky decisions including driving under the influence or going for a midnight swim. The Centers for Disease Control list unintentional injuries including burns, falls, drowning, firearms injuries and motor vehicle accidents as problems associated with alcohol consumption. Alcohol can also increase violent tendencies and result in spousal abuse, mistreating children―even murder. Ever had an extra drink or two and suffer from memory loss the next morning? Drinking is associated with memory and learning problems, poor performance in school and can contribute to dementia. Consuming alcohol causes ethanol to build up in your brain, inhibiting the formation of memories. Over time, alcohol can cause your brain’s hippocampus to shrink. The hippocampus is a critical organ in your limbic system that enables memories, long-term memory and spatial navigation—when it shrinks, it is strongly associated with dementia and depression.